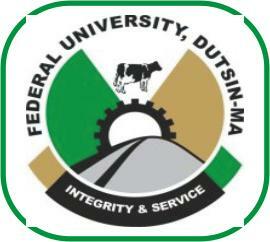 The Federal University of Dustin-Ma [FUDMA] Continuing Education Centre [CEC] Part-Time Certificates Programmes Admission Forms for 2017/2018 Academic Session. The programme is on part-Time basis (Fridays and Saturdays). Certificate in Computer Operation and Application. Certificate in Infectious Diseases and Rural Health. Certificate in Herbal and Alternative Medicine. Certificate in Laboratory Procedure, Safety and Management. Certificate in Fish Hatchery Management. Certificate in Pond Construction and Management. Certificate in Livestock Production and Management. Certificate in Sports Administration and Coaching. Certificate in Instructional Radio and Television Production. Certificate in Local Government Administration. Certificate in Land Survey and Administration. Certificate in Water Resource Policy and Management. Certificate in Environmental Management and Sustainability. Certificate in Educational Administration and Planning. Certificate in Psychology and Counselling. Certificate in Management and Literacy Education. Certificate in University and College Administration. Interested Applicants should pay the sum of Two Thousand Naira (N2,000.00) only into the Centre's Account with Number 2032864766 at any First Bank Branch and obtain the form at the Centre on presenting evidence of payment.